Little Yianni's family was in for a treat when they came for their newborn session in the studio. With two big sisters at home eager to welcome home their baby brother, the K family was in for some BLUE. We had an absolutely wonderful session together with this sweet little boy. He slept the whole time and didn't even fuss! I loved wrapping him up in our new springtime wraps, and using our brand new pageboy hat from Sleepy Baby Crafts. Be sure to check out the Sleepy Baby Crafts page for unique, handmade hats, bonnets, and other cute little accessories for your next photo shoot! Look at that little furrowed brow, and those teeny-tiny toes peeking out in the basket! Love this shot of baby Yianni! Congratulations to the K family! I hope to see you again soon as your little one grows for a milestone session! Really, now... how cute is this family??? The sweet little bonnet was handmade by yours truly especially for this session. The quilt in the photo below was used during Aubrey's Simply Baby session when she was 5 months old, and we were able to incorporate it into her latest milestone session! What a special way to tie the photos together. And, what would a first birthday session be without a cake smash? I loved having full creative reign for this set up since it was in the studio. Mary and I planned this down to the very last detail, choosing the tutu and crown and coordinating all of the details. I love how it turned out, and how we can see Aubrey's curiosity and wonder on full display in these photos. Isn't she such a little princess in this tutu and crown? Thinking of a first birthday session for your little one? Let's plan something together! Sign up for our newsletter using the pink tab on the left of the homepage and get in on the big birthday news coming later this week!! When Marissa & Michael first told me that they wanted to do their engagement session at Slater Park in Pawtucket, Rhode Island, I knew that they had found the perfect location. I grew up right over the Massachusetts border and I remember going to this park all the time as a child... and so did they! It's a park that they still frequent and they were thrilled to do an autumn engagement session together to capture their love on camera at one of their favorite locations. We started off outside of the old carousel house, built in the late 1800s. I love how the antique windows reflect the perfect fall day! And just look at the way these two look at each other. They were so sweet and so adorable the entire session. We headed over to the old bandstand, one of my favorite spots from this session -- and oooohhhh, there were so many favorites to choose from! A little pre-wedding dance practice, anyone? I can just tell that their wedding day will be filled with so many sweet moments shared between the two of them.... I can't wait to capture them on camera! And finally, we headed back to the carousel just in case it were open. The carousel operator was this kind older gentleman and he let us in the back door to the carousel house. He was so amazing when he heard that we were there for a photo shoot, and after sharing his congratulations with the couple he even offered to turn it on for us. I remember going on this carousel so many times as a kid with it's vintage horses, classic music, and gorgeous glass windows filtering in the softest light from outside. This was a dream location to shoot in, and I'm so glad that Marissa and Michael were as excited about it as I was since it was also one of their childhood spots as well! Congratulations, Marissa & Michael! I can't wait for your wedding next fall. I'm in Boston, and we've been snowed in for weeks. It's hard to look past the mountains of snow piling up outside our windows (or covering the windows, in some cases). But from a photographer's viewpoint, all of that snow is like a giant reflector at sunset with perfectly diffused light and a clean, fresh, magical blank canvas in front of you. So, I choose to look on the bright side (spring will be here soon, right?!?!) and turn our snow days into photo shoot days. I've been wanting to do a whimsical snowy session for awhile, and when the opportunity presented itself on a warmer snowy day at sunset, it was on! Savannah and Sean were my little models, and their mom and I pulled the shoot together in less than 24 hours. I shared an inspiration board on Pinterest with her, she pulled together the most perfect outfits (seriously, she could be a stylist for all of my sessions! ), and I made a gorgeous floral crown for our perfectly whimsical shoot. Just look at these two little cuties!!! Savannah & Sean, thank you for being SUCH fabulous models. They were so cooperative in the snow, despite the chill in the air. An absolute pleasure to work with. Are you interested in a snow session for your little ones? Contact me and let's chat! *These are spontaneous sessions, and we'll finalize them one day in advance. *You should gather items for the wardrobe selection ahead of time. Bulky coats and nylon mittens don't make for the classic and magical look, so dressing in warm layers and textures will keep the kids warm. We'll have blankets and coats handy, too. *It must be more than 32 degrees out so that the little ones don't freeze. *These are not for infants. Children must be three years or older if alone, two years or older if they are with older siblings. *Mini sessions are about 20 minutes long, but it all depends on the kids' good spirits, warmth, and cooperation. A set number of photos is not guaranteed -- the longer we last outside and the more cooperative the children are, the more gorgeous photos we'll be sure to capture of your little ones. *All mini sessions come with an in-home ordering appointment within two weeks of the session. Ready to plan your snow day session? Please get in touch with the "Contact" button at the top of this page, or email me at nicoleschwalmphotography@gmail.com. Thank you & stay warm! I had the honor of meeting these two little cuties on a snowy day in January for their photo session. Caleb & Logan are the sweetest little boys and I absolutely adored capturing these tiny, brand-new brothers on camera together. The more I photograph newborn twins, the more I'm seeing how much they love being snuggled up together. These boys didn't want to be apart from each other, and they were so happy being wrapped up together with their limbs all intertwined. One of our favorite moments was when they were curled up together in the basket, and one of the babies started sucking on his brother's fingers! So cute. We were able to capture so many cozy shots of these brothers together. I just love the blend of textures in these photos. The blue background is the rug in the family room -- using elements of your home in your family's portraits is like discovering a hidden gem, because once you hang this artwork up on your walls not only will it coordinate beautifully with your decor, but you'll also look at that rug and remember the precious photo shoot we did with your boys when they were only two weeks old. Welcome to the world, Caleb & Logan! Thank you for such a wonderful session together. This session was so, so special -- to me & to the family. The past year has been one big love affair with newborn photography. The more newborns I cuddled with, posed, snuggled up in wraps, put the cutest little headbands on, and captured on camera, the more I knew that I was completely hooked. New poses, new set ups, new lighting. Everything about newborn photography has just called to me and I have adored every second of it... But there was still one new thing that I was so excited to try out with these little babies -- photographing TWINS! I have an identical twin sister, so I know what it's like to grow up with someone and to always have someone there right next to you. I wanted to capture this on camera from the very beginning. This momma contacted me and was so excited about our session -- her babies arrived early, and they wound up being my last session of 2014. What a way to end the year! This moment right here went straight to my heart and is one that this photographer will remember forever. We wrapped Emily & Nicholas up together in this soft brown wrap, and they just settled into each other's curves and angles, finding the comfortable position they'd been in for the past 9 months with their limbs tangled up together. I watched them in a quiet room as their chests rose and fell together, sharing the same breaths. It was AMAZING. Truly incredible to watch. I am so, so happy that I captured this sweet moment on camera for their family. Welcome to the world, Emily & Nicholas. Meet Harper Jane. Isn't she the cutest? This little girl heard that I was looking for some newborn models this summer, and the day after her dad inquired asking me about sessions for his yet-to-arrive daughter, I received an email telling me that she'd made her grand entrance into the world and was ready for her close-up. She was pretty darn adorable. And such a sweetie. Harper was so sleepy the entire session, which allowed me to try out some new poses I'd been itching to practice. That little chin up pose? She did such a good job! Newborn sessions are a calm, 2-3 hour visit where I come to the family's home and we work together to lull the baby into a deep sleep and then carefully position her in each comfy shot. We get cuddly parent shots, adorable sibling shots, and even a few lifestyle shots depending on the baby's mood and the parents' style. I call them "visits" because that's what they feel like. We chat, we learn about each other, and we "ooooooooh" and "aaaaaaaahhhh" over the adorableness unfolding in front of us. It's magical. Anyways, as I was chatting with Miss Harper's parents, we realized that her grandmother and I actually teach together! What a small world. And congratulations to Grandma (Nana?) Jane! Earlier this summer I went to the Brimfield Antique Fair (check it out if you've never heard of it -- it's absolutely amazing!). I was on a mission to find some beautiful new props, and I found exactly what I was looking for. Lucky me! I purchased this gorgeous antique quilt, and I am over-the-moon in love with it. You'll be seeing a lot of this quilt in my upcoming sessions -- I'm branding it as the new NSP quilt! Thank you, Bruce & Jill, for sharing your baby girl with me. I absolutely adored our session together with your precious little girl. Want to be the first to hear about upcoming model calls? Check out my FB page and get on my email list by sending me a message through the "Get in Touch" button at the top of the column to the right on my website. 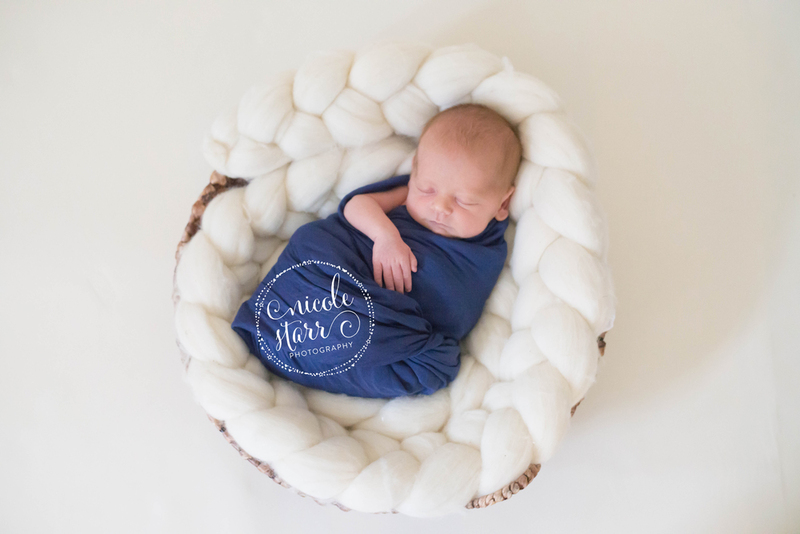 I was so happy to start my summer off with a cuddly little newborn session. Valentina Hope was born in June, right at the end of the school year (perfect for her mom, a teacher who works with me). We got together for our beautiful little session, and this little girl really made us work for these images. That morning, Valentina wanted nothing more than to be held. However, once she fell into a deep slumber she was simply angelic. Isn't this blanket gorgeous? A friend of the family made it for this little girl's arrival. She spends all winter knitting blue and pink blankets to give to those close to her. What a beautiful handmade gift! Big brother Sebastian was so proud of his baby sister, and he wanted to be involved in everything. As I was setting up my posing pillow (for those of you that haven't done a newborn session with me, it's a giant bean bag puck), Sebastian disappeared for a few minutes and came back with his own bean bag. "We can use this one for the baby!" He was so adorable, and I loved watching him with his new sister and capturing that magic on camera for the first time. This last one is definitely one of my favorite images from our session together. What a stunning mama-and-baby photo! Be sure to follow my Facebook page for the latest updates and photos! I've been one lucky photographer this summer with so many newborns that I've been able to meet and photograph. Check out their sneak peeks on Facebook! Marathon Monday was a marathon of a newborn session! I visited Anabela and Paul and their new little addition, Daniel. He greeted me with his big blue eyes and his sweet little lips all puckered up. Just like the runners, Daniel was wide awake and ready to go! Rocking and shushing and swaddling..... No way! Daniel was not having any of that sleepiness that we were trying to get him to move into, so we took advantage of his alertness and got some great lifestyle family photographs. This little boy loved being in his mommy and daddy's arms, and as long as he was cuddled up close to their heartbeat, he was a perfect little angel. There it is! A sleepy little yawn! Love this shot over dad's shoulder. Thank you for a beautiful session, Anabela and Paul! I truly loved getting to welcome your little boy into the world and document his first days on camera for you. Keep sharing the love with that sweet little boy of yours. I hosted my first mini sessions this month, and it was such a beautiful way to celebrate the arrival of spring with some amazing and fun little families. I wanted to give mini sessions a try to meet some new families and have them get the full boutique experience from start to finish with a sampling of a session -- a 20 minute session, a few digital images, and a fraction of the price of a full length session. I loved the energy that everyone brought with them, and the creativity that I got to let loose as I found so many new ways to use the same location so that each family would have their own unique portraits. Such a fun day! I can't wait to host another mini session marathon later this year. We did back to back sessions in Boston and Framingham. As luck would have it, we had the most gorgeous spring day in the Boston Public Garden and in Cushing Park. I met some beautiful families and we laughed, we played, we explored, and we created magic while capturing those amazing little moments on camera. Each photo really does tell its own story and have a million and one words packed into the image. I hope you enjoy them as much as I do, and that you discover the story that each one has to tell. How excited is little Stephen about the bronze ducklings? He was talking about them all morning, and "quack-quacking" away throughout our session. Love the excitement on his face! Another thrilling moment for him was with the swan boats, and he loved watching them glide over the surface of the water that morning. Abby, William, Alex & Thomas came to me with so much energy and we had fun exploring the Garden and picking out some great spots for our pictures together. Love this sweet little one of Abby and the soft pink tulips -- such a great Boston backdrop for this smiley little girl with the wild blonde curls. Next up are these charming brothers. They came running across the bridge to meet me, and while serious, they were up for anything at all. They quickly got into the swing of things and were coming up with all sorts of ideas and spots for our photos. Tree climbing was most definitely involved, though the two bridge photos are some of my favorites. These two sweethearts brought a fairy world alive when we wandered into a wooded part of the park for some great shots together. Their mom's favorite moment captured? Telling secrets. What a great sisterly candid to have for years to come so you can remember just what it was like when you were little and the smallest secrets were the biggest things in the world. Eleanor and Jocelynne made for such a magical session together! This fun family was up for anything! Adlani, Aliya and Norah came charging across the grass and wanted to do running shots, jumping shots, hanging shots. So much energy, and so much fun! I especially loved the colors in all of their outfits -- this is how you coordinate a session. Start with one main piece and work the others around that one. Gorgeous, gorgeous family... both inside and out! Thank you to all of the wonderful families that came out for the mini sessions. If you'd like to receive news about upcoming promotions, please join my email list by sending me a quick message with the "Get in Touch" button and I'd be happy to chat with you about a future session and share news with you! Jasmin and Nick are first time parents, and capturing their new family's love on camera was such a special moment for all of us. She and I have taught first grade together for years, and I was excited to be able to photograph her little guy after 9 months of anticipation. Jasmin entered my Newborn Session Giveaway in February, and she won a free session to document her little one's arrival. Liam Alejandro was finally here! He was SUCH a little cutie for us during our session, and once he passed out in a milk coma we were golden. Behold, the ever changing hats of little Liam. We captured some gorgeous B&W images of the new mommy and daddy. I was so excited to capture this great "hands shot" of Liam in his daddy's hands showcasing his tiny newness against his dad's big, strong hands. This shot is going up on my list of all-time favorite shots! And those piercing eyes of his! When he was awake, he followed me everywhere with those deep and soulful eyes. What a charmer! Congratulations, Jasmin & Nick! I can't wait to watch this little boy grow up with your love and kind spirits. Isn't she lovely? Little Miss Evelyn Marie was welcomed to the world at the end of March by a very excited mom and dad, and a big brother who was eagerly ready to take on his new role! Mom Meesa and I have taught together for years, and we were both really looking forward to our newborn session with her brand new baby girl. As I was driving up to New Hampshire for our shoot, I received news of the next newborn's arrival who's mommy also works with us at school (that post is coming tomorrow!). What an exciting day! Evelyn (Evey) was such a doll for our session. She was alert for our family portraits, and fell right asleep once we got settled in and started posing her all cozied up in our warm blankets and baskets. This next image was a new look and edit that I'm trying out. I made the wrap from roving wool, and was going for a much more dramatic look than my typical photos. I'll stick with the soft images that you all know in my style, but changing it up every now and then is fun. This one makes me catch my breath every single time! Lately there seems to be a theme of the little newborns I'm photographing with these piercing and soulful eyes. Such a beautiful little girl. Again, I'm using a one of my DIY roving wool wraps here for a new prop. I've started DIYing my newborn props, and it is sooooooo much fun. Thank goodness for summer vacation coming up so that I can get to work on many more ideas! Congratulations, Meesa, Andrew & Big Brother Liam! For the past few years, April has been a time of change, regrowth, and reflection for me. Two years ago I hit the <<pause>> button, looked around, and realized that I needed more creativity and beauty in my everyday life. So I picked up my camera, intent on making something beautiful of this wild and precious life I'd been given. For as far back as I can remember, I have had a camera in my hand. I've always loved photos and the stories that they tell. Most of all I've loved the stories that you can search for deep within a photo, the ones that not everyone will notice right away. It started as a kid, grabbing snapshots on my mom's Olympus during our family outings. Then at 6 or 7 I started using my own Instamatic Mickey Mouse camera from the Disney store. Later there were a slew of film cameras, and after many rolls of film came an early version of a digital camera with these grainy photos and a tiny screen on the back. Quite a few cameras (and advances in technology) later, and here I am: a DSLR camera-weilding, photo-loving, light-seeking, capturer of magic. So with the goal of making something beautiful of this one life, I decided to give back and capture these precious moments and showcase the love within families. These two years have changed me, and they've brought more creativity and beauty into my life than I could have imagined. There are so many inspiring artists whose work brightens my Facebook feed every day. So many blogs that I lose myself in for hours at a time, inspiring me, teaching me. Books that call to me and beg me to just devour their colorful pages. I spend my nights editing photos, learning new software, branding my business, creating packaging materials, DIY-ing new props. I've gotten into this habit of leaving a shoot, hopping into my car, and excitedly calling up my best friend (also a photographer) and exclaiming to her about the amaaaaaaazinggggggg session that just happened, so excited to tell someone about the magic that unfolded in front of me, thrilled and honored to capture it on camera for this beautiful family. Year 2 has been a beautiful year. What started out as a hobby has now become a huge part of my life. I've completely redesigned my website and my branding. I have bar mitzvahs and weddings under my belt, with more filling my calendar in the upcoming months. I'm looking forward to my first set of mini sessions this weekend, as well as my new Simply Baby sessions for babies 3-9 months this summer. I've discovered my niche in newborn and baby photography and I adore capturing that tiny newness and that immense love on camera -- so many newborn sessions to look for on the blog in the coming weeks! The best part? I've connected with so many incredible families who enjoy my artwork and who find the value in hitting the <<pause>> button so that they can freeze time for an instant and remember their children and their love just as it is right this very moment. The best part? It's YOU. So a huge THANK YOU to all of the NSP families that I've had the privilege of working with these last two years. Enjoy the memories we've captured on camera, and remember to hit the <<pause>> button every now and then and to enjoy this one wild and precious life you've been given. Better yet, capture it on camera. Your children will thank you for it one day. Aubrey's mama wrote to me when she was pregnant and entered my newborn session giveaway. Mary and Cory were expecting their second child together, high school sweethearts that had been together for 15 years. She sent me the sweetest picture of her little blonde-haired boy Carter kissing her belly. Before the shoot even happened, I knew I was going to love it. Mary told me all about these cute little outfits she had picked out for her little princess, and she used the words "pink" and "frilly". Don't get me wrong -- I've loved the not-too-girly newborn shoots that I've done so far, but this was something new and I was thrilled. We started off with some sweet photos of this family of four. The proud big brother was so excited to get to hold his baby sister all by himself! And I absolutely adore this one photo of the proud father looking down at his little girl. You can tell she's got him wrapped right around her little finger already! Those 2 images above were just so gorgeous in color and in B&W that I couldn't decide which I liked more. Be sure to relish in the B&W wonder of them over in my other post. Truly magical. Do you love what you see? Can you just imagine your own children in these photos? Contact me to book your newborn session today. It's never too early to reserve your session and start planning for your little one's grand arrival. Sweet little Aubrey was only six days old when I got to hold her. Such a sweet little thing, all curled up and snugly in the adorable handmade outfits that her mother had collected for her photo shoot. The rest of the images will be coming soon, but first I just had to share these two photographs of a simply magical moment. We had finished our session downstairs, and I mentioned that earlier I had seen this gorgeous gable upstairs in Aubrey's big brother's bedroom where the most perfect light was coming through. It was just what I wanted for a dramatic, high-impact shot: architectural, clean lines, stark contrast of light and shadows, soft backlighting coming through the window. We cleared away big brother Carter's books, opened the blinds, and let the sunlight stream in. The new big brother walked in at just the right moment, and I was able to convince him to crawl on up with with his little sister in her princess outfit. Prince Carter (though he preferred "Sir Carter") hopped on up and started whispering in his baby sister's ear. I captured magic on camera, created the most beautiful memory for this family and stopped it in time. Now tell me, isn't this the most wonderful job in the world? I am so excited to announce the limited spots available for my Spring Fling Mini Sessions. Two spring days. Two gorgeous locations. Sixteen beautiful families. And a whole lot of fun, laughter, and memories to create and share. On Saturday, May 4 we'll meet at Cushing Park in Framingham. If you're not familiar with the location, it's a beautiful area that just comes alive in the spring. There are so many backdrops right there to incorporate into your photos -- vast expanses of green grass, tall sweeping pine trees, the stone walls of the chapel, a gazebo, benches, and right across the street some of my favorite clusters of trees standing tall before a pond. Check out a Cushing Park mini session here. But I'm going to make it even better. For my Framingham sessions I'm going to have a stylized shoot set up. The theme will be "Family Picnic". I'll bring a great big colorful quilt, my vintage picnic baskets, some fun classic toys for the kiddos (pinwheels, anyone? ), and some other colorful picnic props. The idea is to have a fun, colorful, classic background for your family pictures and to capture some real and raw moments with your family or of your kids. On Sunday, May 5 we'll meet at the Boston Public Garden. Please, somebody, tell me that they're bringing their littlest kids to get some adorable pics by the bronze ducks from Make Way for Ducklings. There's that gorgeous bridge over the pond, the stone arches underneath the bridge, the weeping willows, the pathways and flowerbeds. The options are truly endless and I can't wait to meet all of the families there for some stunning photos. The mini session is just that -- mini. If you've been hoping to book another session with Nicole Schwalm Photography, if you've been waiting for a special offer to afford a session, if you'd like to give a session as a gift to the grandparents, if you'd like some fresh springy photos on your walls to shake off the winter... then this is it! The mini session is a taste of what my full sessions are like, and they're a great way to "try it on for size." What are my full sessions like? Check out the testimonials page for some rave reviews from NSP families! Sessions are 20 minutes long. You can bring up to 5 people. You'll have access to an online gallery for viewing, sharing, and ordering. You'll receive 5 fully retouched digital images with printing rights. You'll also get a special 30% off your print order and have access at an unbelievably low price to my high-quality and stunning lab prints and canvases -- trust me when I tell you that these are way above and beyond what you'll get at the drug store or hour photo lab! What a great way to showcase your family and artwork on your walls! When you refer a friend, your session fee will be lowered from $125 to only $99. You still get all the great benefits of the mini session, only at a lower price! If you want your pics in time for Mother's Day, just let me know and I can get the retouched gallery to you by Monday evening. If you order prints right away (prints, not canvases), I'll have them ready for you to come pick up by the Friday before Mother's Day. What perfect timing! Grandma is going to LOVE this. Then I'll get right back to you and we'll be counting down the days till our spring fling mini session! There are limited spots available, and they are going FAST. (I emailed my previous clients last week, and a mere 4 minutes later had already booked the first slot!) You'll want to jump on this! And at this price, how could you pass it up? **Please note that the mini sessions are not appropriate for newborns since I cannot give newborns the full attention they need. They are ideal for families with babies that are older than 3 months along with older siblings, or single babies that are 6 months (sitting up stage) and older. If your baby is too young, contact me and I'd be happy to chat with you about how else we can work out a session for your little one! I first met this sweet little family last winter when Veronika and Alec invited me into their home to photograph their baby girl Sophia. You might remember her two stunning sessions -- the one picture with the mesmerizing eyes and the cute little bonnet that literally made her father stop in his tracks while crossing the street and this picture appeared on his phone. And the series of B&W photos of that little cutie that prove that some photos are just begging to be done in B&W. Soon after our sessions the family moved to NYC but stayed in touch as they came back for some artwork, and the mom always told me that she was looking forward to a family session when they were back in Boston. They came back to visit family, and this time EVERYONE was ready for their close-up. Ten family members. Three generations. Lots of Russian spoken. So much laughter. And one adorable little baby girl. Little Sophie is SO, SO LOVED. Besides the soft light just pouring through the windows, I won't soon forget the laughter. All of the mamas, sisters, and daughters were reunited and they just laughed and laughed and laughed. I love it when sessions are fun and relaxed, and we're able to capture everyone so comfortable and having so much fun. These women did anything to make the baby smile and to keep her entertained. I should carry them in my back pocket to all of my shoots because it worked like a charm to have them jumping around and singing behind me and my camera. The way the light shone just so and served as a backlight for little Sophie.... aaaaaahhhh, beautiful. What an angel. And finally, one of the whole family. Thank you for sharing your memories with me! For Valentine's week I was so excited to offer all of you lovely expecting mamas a NEWBORN SESSION GIVEAWAY. I loved reading all of your beautiful stories and seeing the sweet (and in some cases, adventurous!) belly photos that you entered in the contest. So, who were the mamas? Some had waited years for this baby to come to them. Others were over-the-moon excited to be welcoming their first. A few had eager big brothers and sisters ready to kiss and hug that baby and welcome their little sibling to the world. Some told me that this baby was the surprise of a lifetime for their families. These mamas submitted the sweetest pictures of hugs, kisses, love, baby bumps, and there was even a daring snow-shoeing picture of one adventurous mama in her eighth month! Due dates ranged from this week all the way through next September Actually, the first mama who inquired about the contest delivered her baby between the time the contest started and the time it ended. Welcome to the world, Nova! There were 7 entries, and the winner was chosen randomly through a number generator at www.random.org. "My husband and I are extremely grateful to be welcoming baby Liam Alejandro into our family. God has blessed us with the opportunity and the great privilege of becoming parents and sharing our lives with him. We eagerly wait until the moment we get to meet him, watch him take his first breath, and as he proceeds to change our lives." As a special thank you to all the expecting mothers who entered the contest, I'd like to offer them a special gift. I truly enjoyed reading your stories and seeing your pictures with a glimpse into your families. I would love the chance to capture your newborn's first precious days on camera. When you reserve your newborn session with me, I will include 2 mini accordion albums of your baby's sweet photos and 30% off all prints and canvases. All the lovely mamas-to-be who entered the contest. Photos were submitted by the contestants. So I have a thing for newborns. Those itty bitty fingers that hold on tight, those little mouths stretching out into a yawn, those sleepy eyes peering up at you, and the softness and squishiness of those teeny tiny bodies... Photographing these new arrivals is such a joy and I absolutely adore capturing them on camera for their parents to look back at their portraits forever and always remember how their babies looked when they brought them home from the hospital. You know you want in on this, don't you?!?! :o) How do you enter? It's simple. You can find my Nicole Schwalm Photography page on Facebook. Simply click on the photo that you see above in this post that includes the contest rules. Message me (FB messenger) your most adorable belly/bump picture and like or comment on the Facebook post. Please also tell me if I'll have permission to share your photo if you are selected as the winner. That's it! All entries must be received by Valentine's Day -- this Friday, February 14, 2014. I will use random.org to generate a winner. 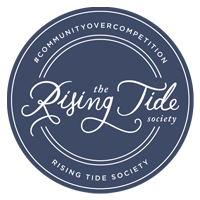 The winner will be announced on Saturday morning, February 15, 2014, on my Facebook page and on my website. 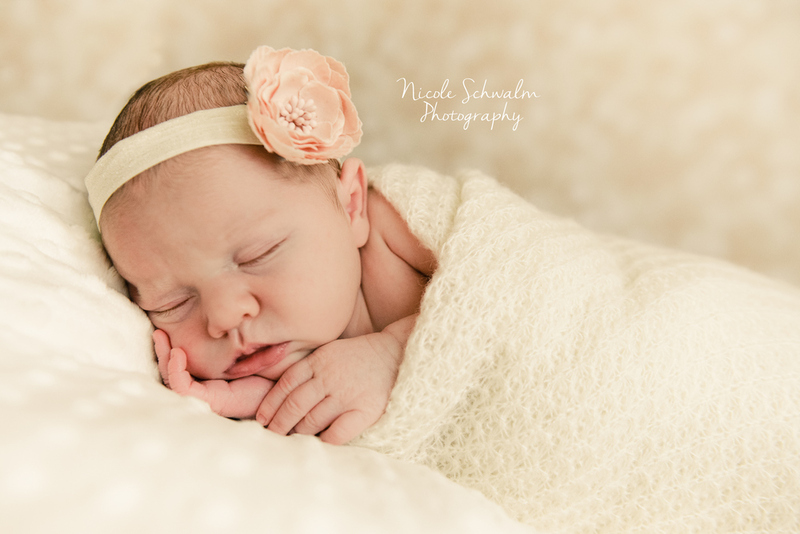 And that lucky mama will get a free newborn session with Nicole Schwalm Photography! Hurry up! What are you waiting for? Head on over to the NSP Facebook page to enter now. If you wouldn't mind sharing this blog post or the Facebook post, I would truly appreciate it. Thank you! Talk about a match made in Photography Heaven. First of all, I got to go into this session with this glowing review from Kavita first: "You are amazing, I know I say this all the time, but really...you're such a find! I'm going to have to keep calling you for all my milestones -- my sixtieth, my 75th, daughter's weddings, grandkids..."
I met Kavita at my old roommate's wedding. She asked me to take her youngest daughter's senior photos a year in advance, and then was immediately talking about booking me for a family session when her eldest daughter was on break from college. So, why is this Photography Heaven? This is the most wonderful family with such amazing, strong, and intelligent women. I've had a few very fun afternoons with them between our two sessions now, and what I love about the girls is that they are up for absolutely anything when it comes to our shoots. Dangle over a bridge in a ballet costume? Sure! Stomp through snowbanks up to your knees to get the perfect shot? Why not! Sit on salty/snowy steps to get that awesome texture of the doorway? Of course! See if we can convince the concierge in the Copley Plaza Hotel to let us pose for photos in the lobby? Ooooh, yeah! For both of our shoots they have had that "BRING IT!" attitude and we have had such a fun time scouting out locations and getting just the right shots. We did our shoot soon after the new year in Copley Plaza, Boston. It had snowed an incredible amount in the days leading up to the shoot, and as I waited for the girls to arrive I watched giant plows scoop the city's snow up to transport it out of the city in gigantic trucks. The city was buzzing with people coming out of their cooped-up homes and enjoying the air, the sounds, and the sights of a bustling area. When I saw three women in the distance walking towards me in brightly colored coats, and I knew right then that this was Kavita, Simi, and Meghna. I LOVED their colors and they worked perfectly against our city backdrops. When I mentioned that I had seen a beautiful black and white tiled hallway a year ago while walking out of a back door exit to a store in the area, and that I had marked it back then as a must-go-back spot for photos, they were excited to find this hallway and take some pics there. See? Up for anything! Simi and Meghna were excited to take these pics with the reflections in the Hancock Tower. Love the salty stairs and the wooden door in this picture! These photos we took in the lobby of the Fairmont Copley Plaza Hotel. We walked in with the intention of warming up after an hour outside in the cold, but once we saw this amazing backlit lobby we just had to stop and take some photos here. And I'm so glad we did! Thank you, Kavita, Meghna, and Simi, for a truly amazing session. I'm so glad I've gotten to know you through the lens of my camera! Enjoy these photos showing your beautiful relationship for many years to come.